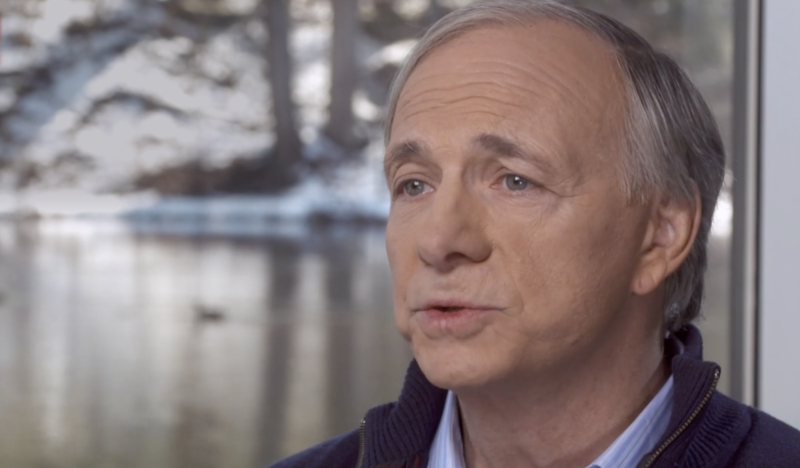 After giving $100 million for Connecticut’s public schools and publishing a lengthy treatise entitled “Why And How Capitalism Needs To Be Reformed”, Bridgewater Associates founder Ray Dalio took his battle to encourage bipartisan though still-radical ‘reform’ of American capitalism to an even broader audience: that of CBS’s long-running television news magazine ’60 Minutes’, where he invited the program’s journalists to interview him aboard his yacht near the Bahamas, and to the rarefied offices of Bridgewater, to hear about how the American system must either change, or die. Dalio – who ’60 Minutes’ claimed avoids extensive interviews despite his borderline pathological lust for publicity – reiterated many of the ‘solutions’ he proposed in his essay, included the notion that a ‘national emergency’ should be declared to deal with economic inequality. But what are the odds that the reforms of which Dalio speaks actually happen. If e had to assign probabilities, he said ’60-40′ that the inequality issue will be dealt with ‘badly’ – implying either a violent revolution like he warned about in his essay, or the election of an authoritarian leader to “restore order”, as he put it. Dalio, as CBS reminds us, bought his first stock when he was 12 with money he made as a golf caddie. However, the program’s description of Bridgewater’s army of analysts was slightly antiquated, depicting them as the drivers of the firm’s investment decisions (rather than a marketing tool. At Bridgewater, it’s well known that the machines make most of the investment decisions.) More humorously, ’60 Minutes’ sat in on one of Bridgewater’s staff meetings, and gently reported that “there’s a bit of a Big Brother vibe”…and humorously pointed out that a camera visible in one of the company’s meetings “wasn’t ours, it’s theirs”).